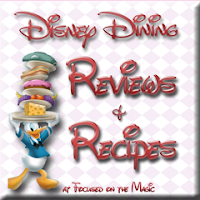 It's Foodie Fare Friday and we're focused on the magic of a Disney recipe from The Polynesian's Kona Cafe at The Walt Disney World Resort. When I think of The Kona Cafe I think of their coffee, it is the best authentic Kona Coffee and the famous Tonga Toast. Warning! 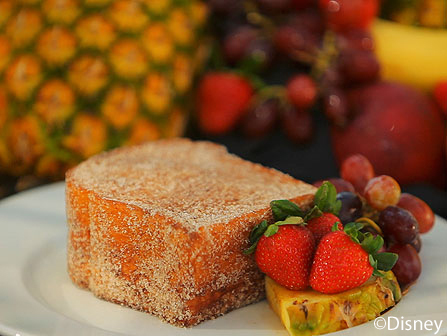 If you choose the Tonga Toast, you better be hungry. It is very filling! There are more than enough carbs to last you awhile and you may have a sugar rush. I like to split Tonga Toast with my husband or son. Even splitting one serving will hold me over till lunch time and more. Kona Cafe is not the only restaurant on property that offers Tonga Toast. The Rainforest Cafe has it on their menu but from what I've heard it doesn't come close to the Kona Cafe recipe. The recipe below is very easy to follow and I've included a video that I wish had a scratch and sniff button because it looks like it smells delicious. 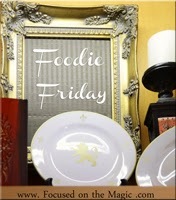 I'm a visual kind of person so whenever I see a video of someone preparing a recipe I try to include it in my post. Here is Chef Searl from the Polynesian's Kona Cafe demonstrating with Pam Brandon, Disney Parks Food Writer. What's your favorite Disney breakfast food?